(TibetanReview.net, Jan08’16) – China’s total debt stands at about $28 trillion, or roughly half the world’s entire debt, while it only has about a year, to a year and a half, of currency reserves on hand if it needs to defend a run against the yuan, said a businessinsider.in analysis Jan 6. And the Bank of America Merrill Lynch became only the most recent financial institution to start sounding scared about China’s debt, it added. The report said that while its economy was slowing China had not stopped adding more debt. It added that about five years ago, China’s debt levels began accelerating far faster than GDP was growing, making it less able to pay it off as time goes by and as it adds more debt. The report noted that in 2005, China’s debt was 164% of GDP as against 236% now. While many countries have debt that is twice GDP, what is worrying about the Chinese economy is the speed at which it is changing, compared to the slower pace of economic growth. 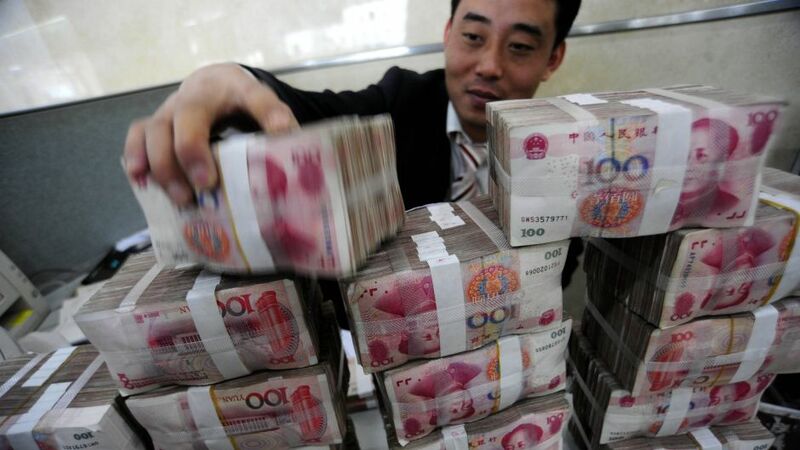 And while allowing the currency to depreciate will make Chinese goods more competitive, as China has been doing recently, it risks capital flight at a time when it needs all the cash it can get, said another Business Insider report Jan 6. But the job-offers-to-seekers ratio is so ugly that the government has to take that risk, the report cited Bank of America analysts as saying. And given the fact that economic growth has slowed down sharply over the past few years, and will likely continue to slow, the jobs pressure will only continue to mount, the report said. The report concluded that China’s social harmony was based on the premise that the country’s leaders will deliver prosperity and growth. If people don’t have jobs that promise is broken. If promises are broken people get angry, and that can lead to the government’s worst fear — social unrest. Meanwhile, on Jan 5, the Chinese government again began buying stocks to prop up its plummeting stock market. No one thinks that is sustainable, the report noted. And yet on Jan 7 morning, China halted trading on its stock market in less than 30 minutes after the markets opened when Chinese equities dived to trigger a 7 percent circuit breaker. This was the second time in a week that trading on China’s stock markets were suspended for the rest of the day, as a new circuit-breaking mechanism was tripped less than half an hour after the open, noted Reuters.